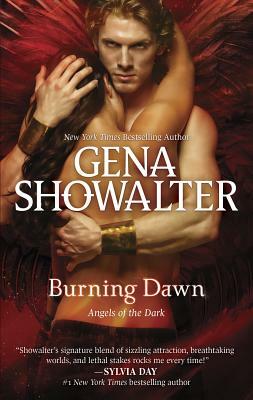 New York Times bestselling author Gena Showalter returns with a sizzling Angels of the Dark tale about a winged warrior renowned for his ruthlessness, and the woman who becomes his obsession…. A tormented past has left Thane with an insatiable need for violence, making him the most dangerous assassin in the skies. He lives by a single code: no mercy. And as he unleashes his fury on his most recent captor, he learns no battle could have prepared him for the slave he rescues from his enemy's clutches -- a beauty who stokes the fires of his darkest desires. Elin Vale has her own deep-rooted scars, and her attraction to the exquisite warrior who freed her challenges her every boundary. But Thane's unwavering determination to protect her means she must face her greatest fears -- and enter a world in which passion is power, and victory means breathtaking surrender.